SEOUL -- Chairman Yoon Jae-seung of Daewoong Pharmaceutical, a major bioengineering company in South Korea, resigned Monday over allegations that he has been involved in habitual character assassination and insults at private and business meetings with his company officials. Daewoong Pharmaceutical is a key subsidiary of the Daewoong group involved in pharmaceutical raw materials, food processing, education solution and the leasing of real estates. Yoon Jae-seung, a son of group founder Yoon Young-hwan, served as a state prosecutor after passing the bar exam in 1984 and joined Daewoong in 1995. "As of today, I will step down from management to take the time for self-reflection," the chairman said. "I sincerely apologize.... for my rash speech in business meetings and reporting. 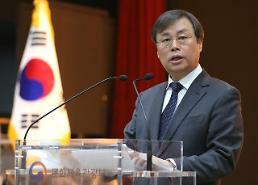 It's all my fault," he said, adding Daewoong Pharmaceutical would be run by professional managers. It was not clear whether his departure was permanent. The resignation came a day after a cable news network published a video that showed Yoon verbally assaulting company officials. It was the latest case of Gapjil, which means an abuse of power such as mistreatment, arrogant behavior, crude talk, character assassination and insults. 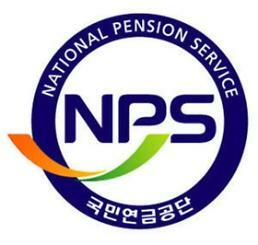 Daewoong Pharmaceutical shares fell 2.26 percent on Friday to close at 194,500 won ($174.7). Gapjil has become an important social issue since President Moon Jae-in promised to eradicate it as part of his push for social and economic justice. 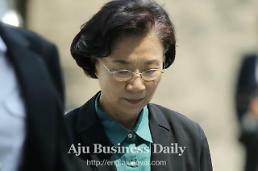 Lee Myung-hee, the 69-year-old wife of Hanjin group chief Cho Yang-ho, has been widely criticized as a typical example of Gapjil. In a scandal involving Cho's youngest daughter, Cho Hyun-min, Lee has been questioned by police for verbally and physically assaulting company employees, housekeepers, flight attendants and security guards at her home, citing no possibility of running away or destroying evidence. The scandal fueled widespread public anger, leading to multiple investigations into illegal activities by Cho, his wife and two daughters who have been accused of creating a slush fund, evading taxes, bringing in luxury foreign goods illegally, abusing and assaulting company employees and others. Despite strong public demands for punishment, no family members have been arrested yet as court judges were reluctant to issue arrest warrants, citing no possibility of running away or destroying evidence.